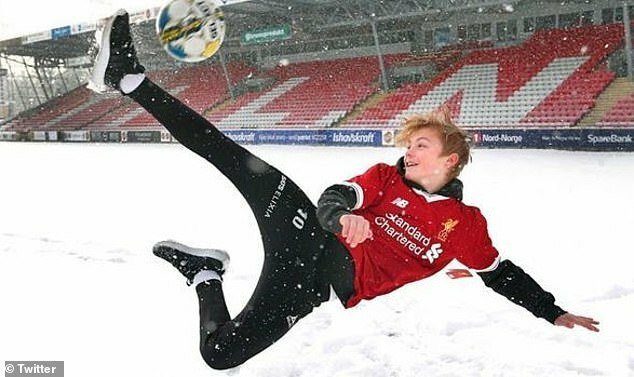 Manchester United have reportedly taken the lead in the race to sign 14-year-old midfielder Isak Hansen-Aaroen, according to Norwegian newspaper Aftenposten, as quoted by the Manchester Evening News. The report adds that the Red Devils hope to ward off competition from Premier League rivals Liverpool and Everton in the race to sign the Norwegian. Hansen-Aaroen is only eligible to sign a pre-contract agreement with the North-West giants due to his young age. However, the player would be cleared to move to the club on his 16th birthday. The report goes on to claim that Hansen-Aaroen is a boyhood United supporter, which if true, could make negotiations easier for the Premier League giants. Meanwhile, Manchester United are currently preparing for their Premier League encounter against Brighton on Saturday afternoon at Old Trafford.